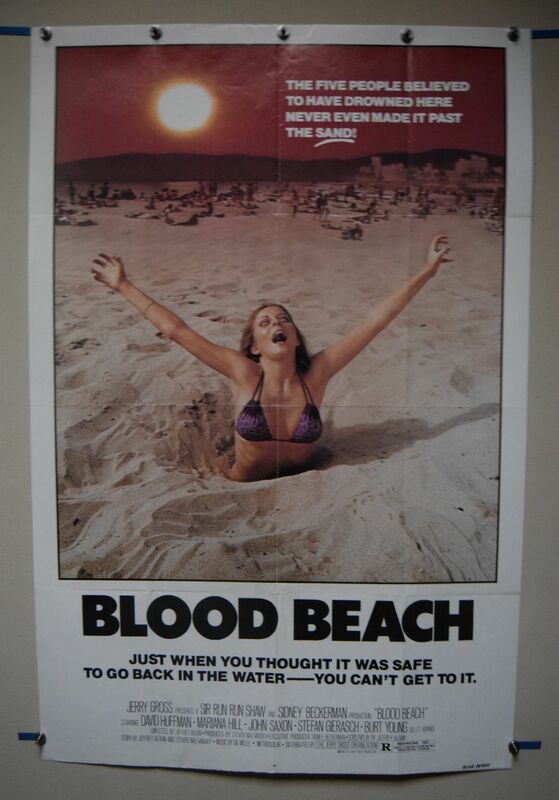 Blood Beach (Compass International Pictures,1980) US One Sheet Poster Size 27" x 41"
Directed by Jeffrey Bloom. Starring David Huffman, Marianna Hill and Burt Young. Something or someone is attacking people one by one on the beach. 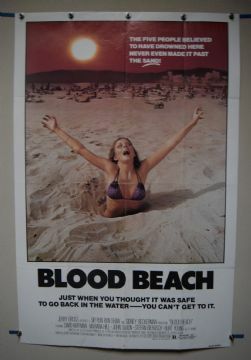 Some of them are mutilated, but most of them are sucked into the sand, disappearing without a trace.The poster has general handling wear. Displays great!